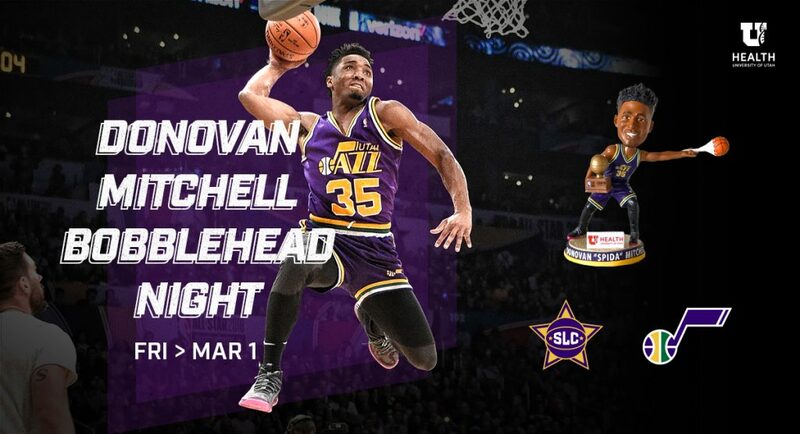 The Salt Lake City Stars, the official NBA G League affiliate of the Utah Jazz, unveiled a limited edition bobblehead of Jazz guard Donovan Mitchell, which will be available exclusively in a ticket package for “Utah Jazz Night presented by University of Utah Health” at the Stars game on Friday, March 1. 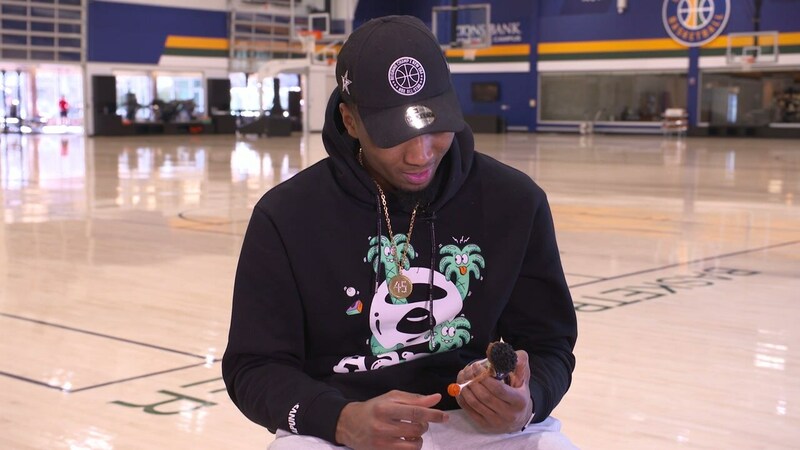 The bobblehead celebrates Mitchell winning the 2018 NBA Slam Dunk Contest, depicting the second-year pro with the Slam Dunk trophy and the No. 35 Darrell Griffith purple classic jersey he wore during competition. The figure also features a spiderweb emerging from his left wrist to catch a basketball, a visual representation of his “Spida” nickname. The bobbleheads are on sale now and available exclusively in a ticket package to “Utah Jazz Night presented by University of Utah Health” with the Stars on Friday, March 1. Fans can purchase two tickets to the Stars game and one bobblehead for $25. Bobbleheads will be available for pickup at the Stars’ March 1 game in the lobby of Bruin Arena.